Welcome to Terrapin Peak Bed, Breakfast & Beyond! Discover the delightful surprises of Lake Tenkiller, OK.
Are you looking for a family getaway, an affordable and fabulous alternative to the traditional holiday resort? Perhaps you’re planning a special celebration, corporate retreat or last-minute vacation? 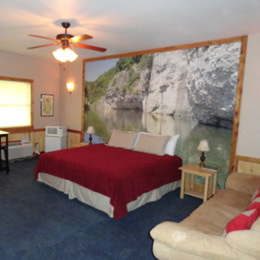 Terrapin Peak Bed, Breakfast & Beyond is the perfect destination for families, couples and corporates looking for a rustic outdoors experience at our Lake Tenkiller cabins in the verdant surrounds of Cookson, Oklahoma. 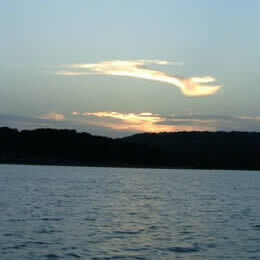 Scroll down to see what the amazing Lake Tenkiller area has in store for you. If you are looking for Lake Tenkiller cabins each with two private bedrooms and your own private entrance, then we look forward to seeing you soon! Our lodging comfortably accommodates up to 14 guests. Choose from three luxurious cabins each featuring two private large airy bedrooms filled with adjustable lighting and equipped with private bathrooms, TV and DVD. Your home from home with porches just made to relax on with your favorite beverage. In the Main Dining area, guests can enjoy a Continental breakfast or request a hot breakfast or gourmet dinner that will be talked about for years. Or why not let us host your dinner parties for up to twenty-six of your family and friends? 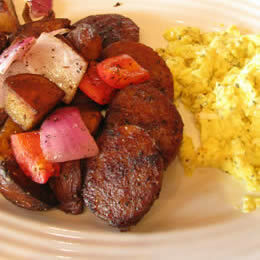 Click here to read more about Chef “What’s His Name” and our gourmet meals. Outside, take the opportunity to play a game of horseshoes or view the wildlife amidst nine acres of groomed mountaintop beauty. 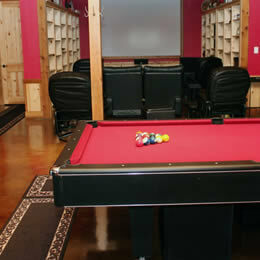 Inside, the Main House offers guests a variety of options including playing pool, watching movies or TV shows on our 120” screen with high definition and surround sound, listening to music or gathering with friends to play cards, board games or just relax. Click here to read more about our facilities. Lake Tenkiller and the Tahlequah area is a lush and verdant landscape offering a variety of things to do for couples, families and groups including horseback riding, boating, hiking and cultural activities from the Cherokee Nation. “We loved our room and the surroundings here are gorgeous”.